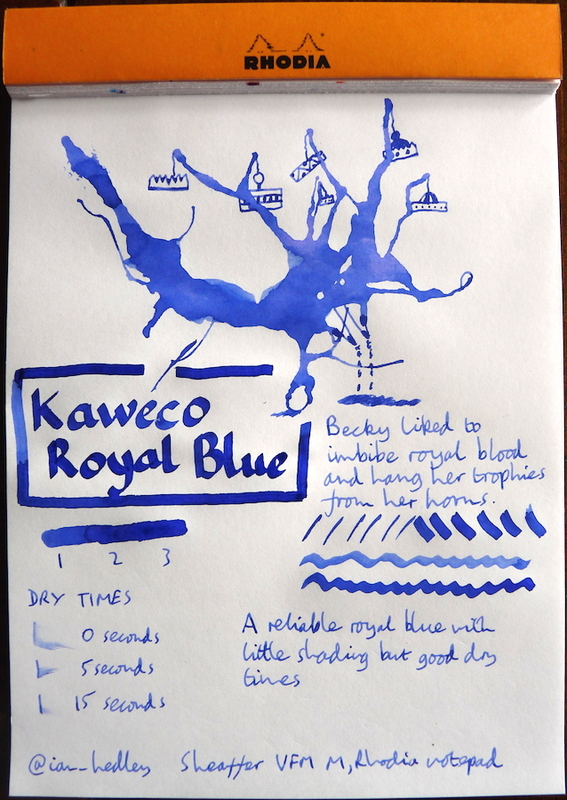 Kaweco Royal Blue ink review – Pens! Paper! Pencils! 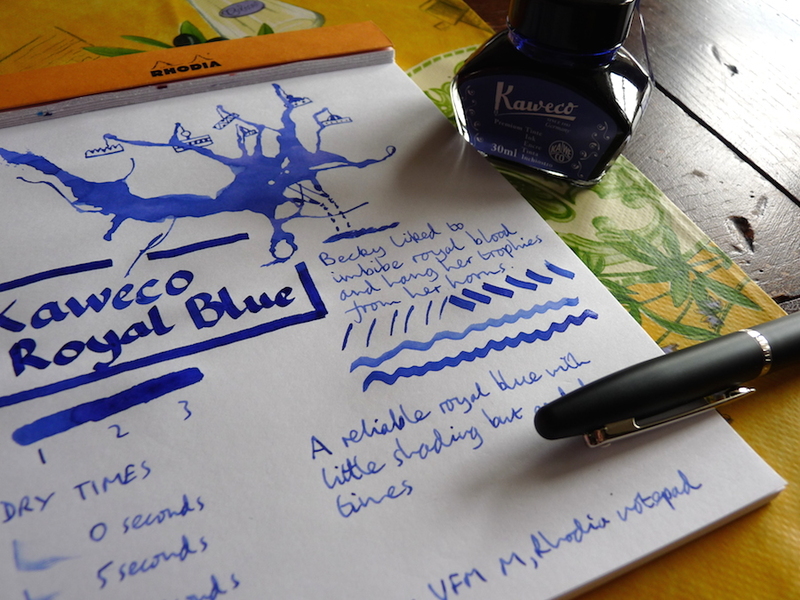 Kaweco Royal Blue is a fairly standard shade and one that reminds me of being at school as a child. This may explain why it’s a colour I’m not especially fond of. However, if you are after a royal blue ink, this is a solid contender. It doesn’t have a lot of character or shading but it dries quickly and flows well. This ink was sent to me free of charge by Kaweco, for which I thank them. I love royal blue in ink because I considered it authentic color turning words into solid meanings.